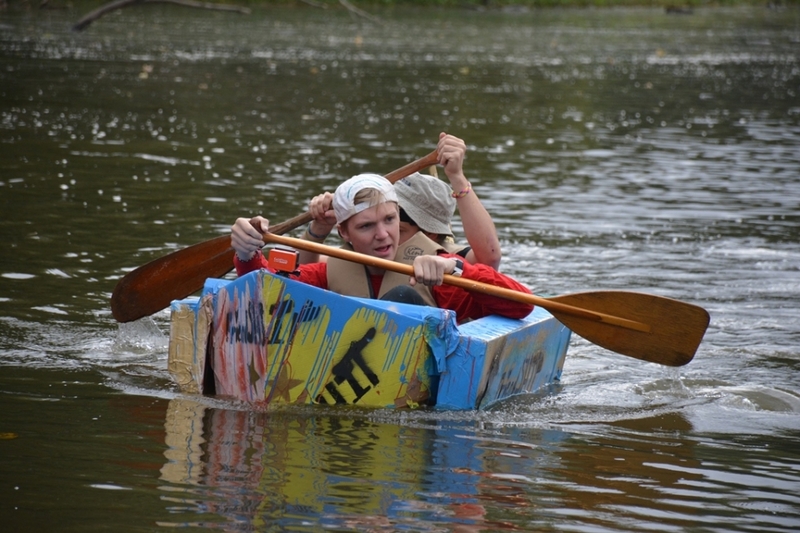 Mariners launched seaworthy vessels into the mighty Mississippi River at the 8th annual Cardboard Canoe Regatta last weekend. The resourcefulness and creativity on display ranged from a Jackson Pollack model to a Viking ship-inspired version. Each boat was hand-built using cardboard, tape, and colorful water-based paint. Most boats completed the entire course, but a few sank quickly into Piasa Harbor. Taking a plunge into the water didn’t seem to dampen spirits, though, and it certainly provided ample entertainment for observers on shore.